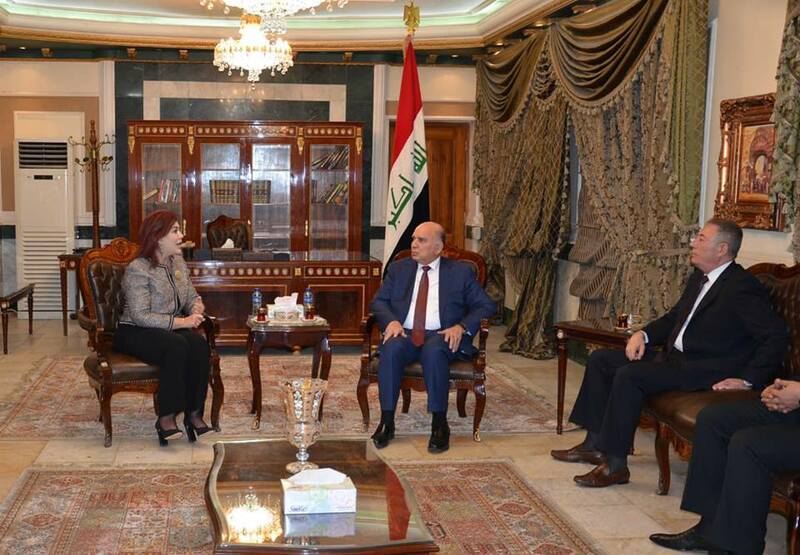 Deputy Prime Minister for Economic Affairs and Finance Minister Mr. Fouad Hussein , received at his office in Baghdad , Dr. Montasser his mind Zoubi Ambassador of the Hashemite Kingdom of Jordan in Baghdad and Ms. Safia al - Suhail , Ambassador of the Republic of Iraq in Amman. The Ambassadors congratulated and congratulated Mr. Fouad Hussain on the occasion of assuming his new position as Deputy Prime Minister and Minister of Finance, wishing him success, success and success. 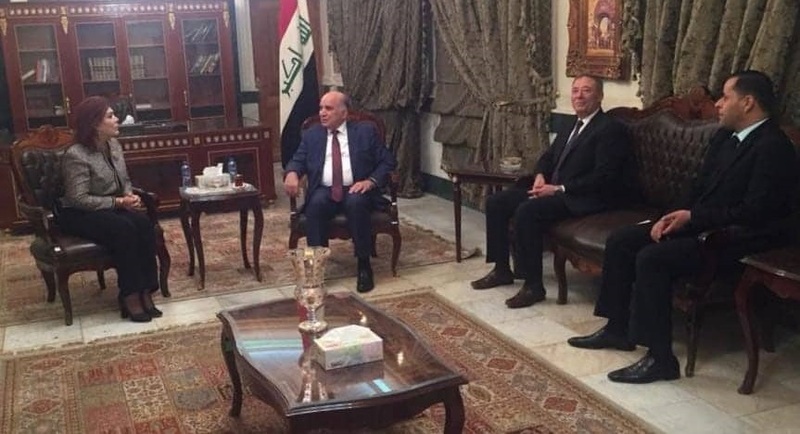 Al-Zu'bi pointed to the depth of the historical relations between the two brotherly countries, adding that the Hashemite Kingdom of Jordan looks forward to economic integration with Iraq and bolstering relations of brotherhood and friendship. For his part, the MP thanked Ambassador Al-Zoghbi and Mrs. Safia Al-Suhail for their congratulations. He pointed out that Iraq looks forward to building strong and strong relations with the Hashemite Kingdom of Jordan based on common interests, stressing the need to strengthen and strengthen these relations. The Deputy Prime Minister also referred to some obstacles and problems facing the trade exchange between the two countries, especially in the field of customs cooperation. The Deputy Prime Minister promised to solve all problems and obstacles through the Ministry of Finance and the Council of Ministers in the interest of the two brotherly peoples. The ambassador also called on the MP to attend the Iraqi-Jordanian Businessmen Forum and the hoped-for complex in Baghdad next Saturday.